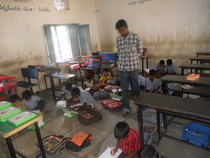 The Central Primary School, 4th Graders and 4th & 5th Graders from Harijanwada School, Aziznagar have been engaged in Curriculum bases activities like learning English Skills & Math and extra-curricular activities like puzzle, memory game by the KMRF –team twice in a week in each school. About70 students from both the schools could use the laptop sharing between them and independently handling the systems. They wait eagerly for these fun filled activities and enjoy learning with fun. 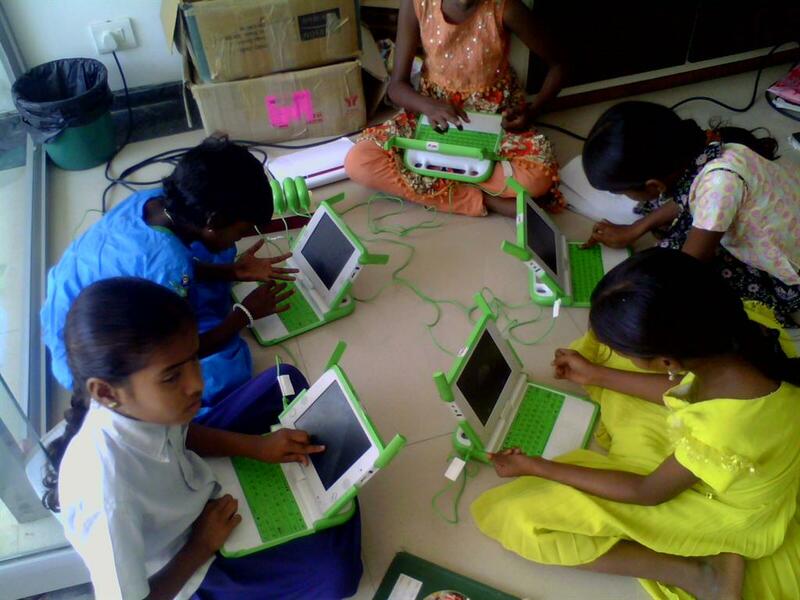 The OLPC-program is being continued in the village school for the 3, 4 & 5 graders. We use the XOs—for enhancing English and Math skills. Thanks to Alan Jhonn---- Sugar Activity / program developer who helped with the map of Andhra Pradesh. An excerpt from the speech of Dr. Manmohan Singh, Prime Minister of India at the meeting of Governing Council of the National Mission for Sarva Shiksha Abhiyam. KMR Foundation is committed to improving the quality of its work and enlarges its scope by adding new dimensions to its agenda on education. 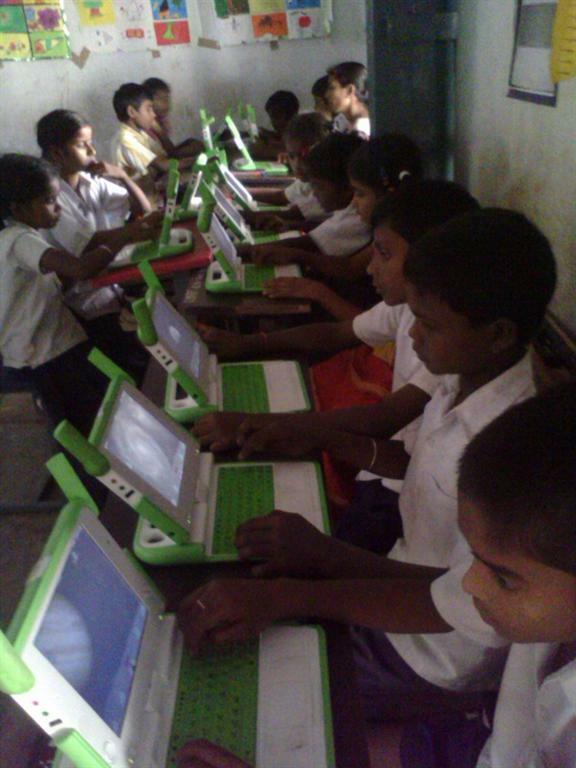 One such step is to introduce the OLPC (One Laptop Per Child) programme in Aziznagar village School, which would be the first project of its kind in Andhra Pradesh and one of the very few in India. 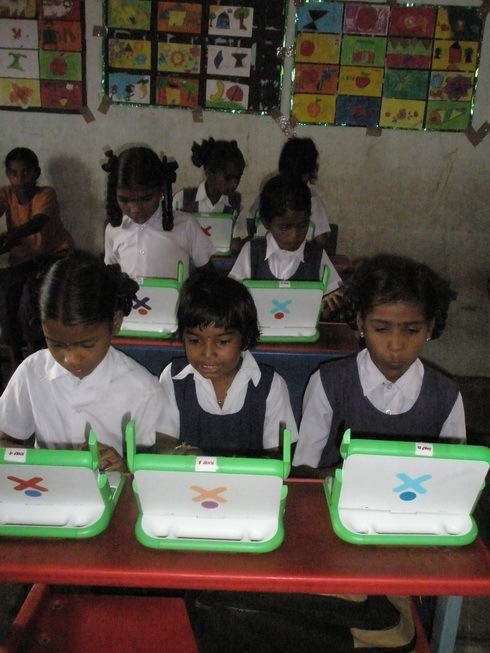 OLPC (One Laptop per child) program is an education project. It is a low power connected laptop with content and software designed for collaborative learning. The software and hardware are designed to suit the children from 6 to12 years. Computer supported collaborative learning is one of the most promising innovations to improve teaching and learning with the help of modern information and communication technology. 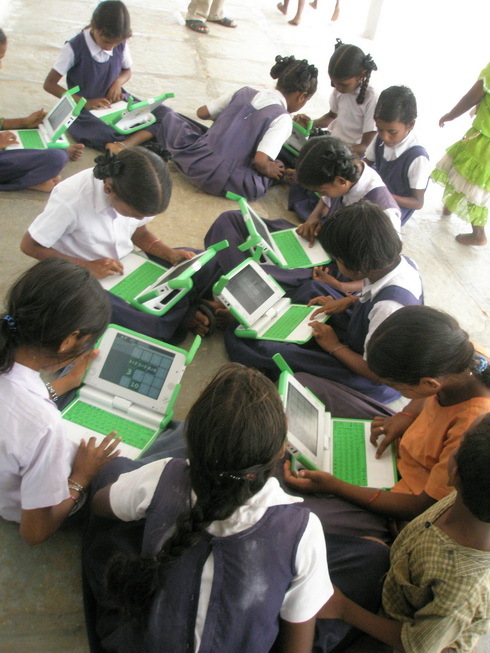 Use of computer technology in classrooms is generally reported to enhance learning and thinking skills among children. 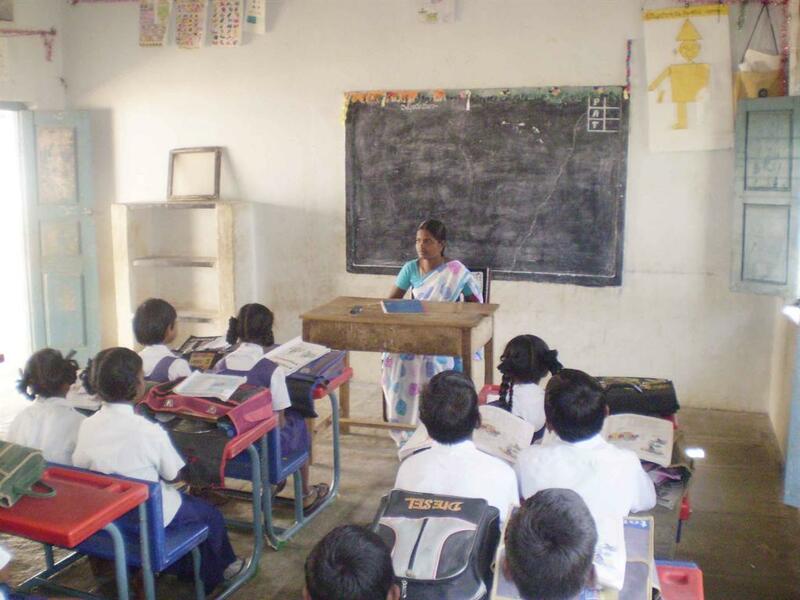 It creates a free environment that helps children learn without fear and makes them feel empowered. More over students can learn faster and better through technologically-oriented methods. Our initial step and planning is to implement this program to the Class 4 Children of Aziznagar Centre Primary School by distributing 30 laptops (XOs) to the children. The foundation would take the responsibility and conduct classes regularly in the afternoon to get the children accustomed to the laptop. The village teachers are already trained as to how to handle the laptops and help the children learn all its functions. A team of volunteers are working on translation of the input language from English to Telugu to help the children easily understand the commands. The collector and the District Educational officer (R.R.Dt.) 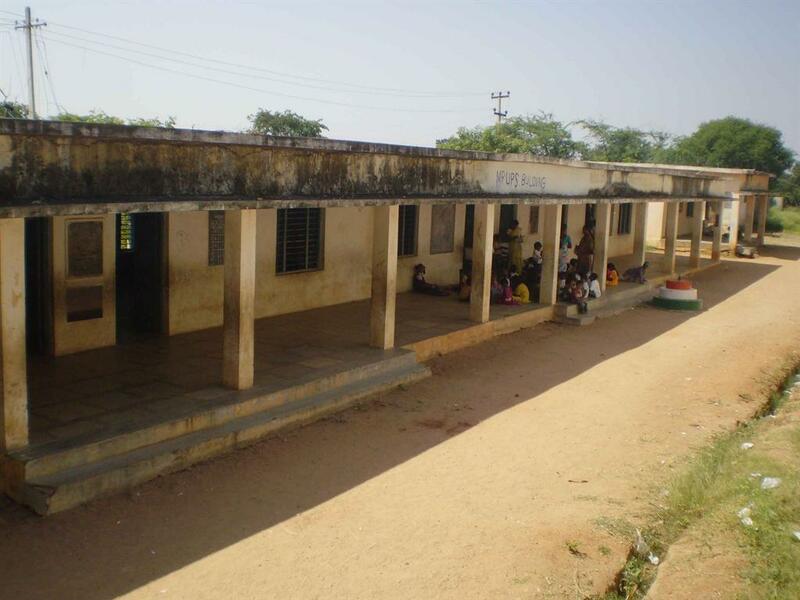 have extended their support and are helping to bring this project in the Primary School, Aziznagar. 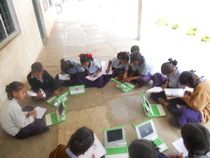 Two learning workshops were conducted for the OLPC- programme in collaboration with the Digital Bridge Foundation (a division of The Dhirubai Ambani Memorial Trust) and The Homi Bhabha Centre for Science Education, Tata Institute of Fundamental Research (TIFR), Mumbai. The first one was held at TIFR in Mumbai and the second one was held at the Sreenidhi International School Campus for 3 days involving the “Swetcha” group-a voluntary organization for free software. The staff from Sreenidhi Institute of Science and Technology, Hyderabad, the I.T. Dept. from Sreenidhi International School and the Primary School teachers from Aziznagar village participated. Help from volunteers from Hyderabad. 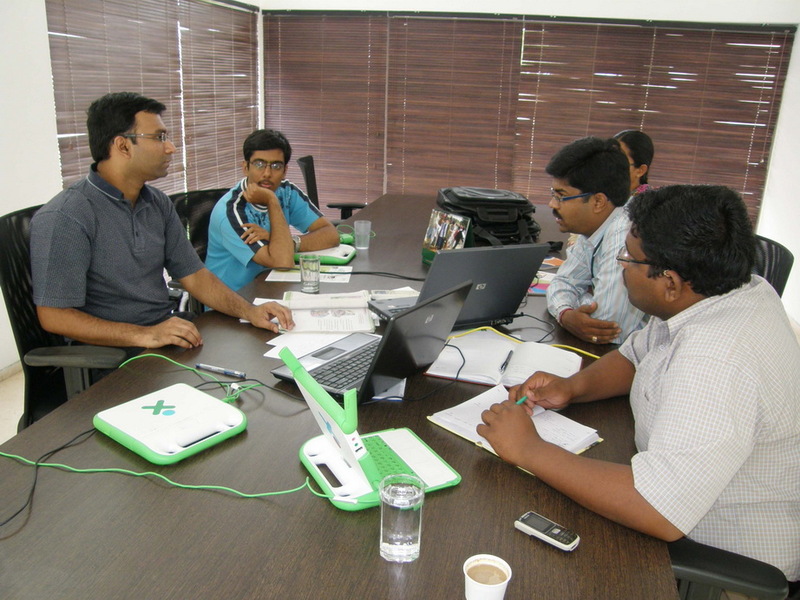 The foundation team is getting some guidance and help from Shakthi Kannan ( Qvantel) and Tejaswi ( Peoplelex), Hyderabad who have volunteered to help us with the (OLPC- Programme). It has been a kind of workshop every time they visit. The team could discuss and clarify certain areas of problems with regard to software & hardware part of xos.